I signed up to put a piece in the Love Show Portland for this year. This will be the 2nd or 3rd time I have been in the show, so I wanted to make a really special piece: “Love 2010 (PDXLove)”. 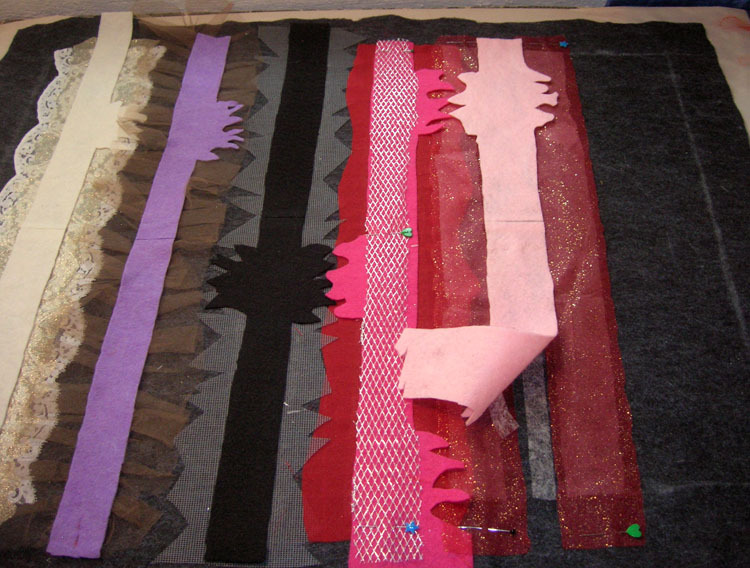 It seemed to me as I was creating the “lifelines” that each of them became more individualized and complex. I found myself representing this by adding layers of different fabric, color and texture that could express each vertical column’s personality or “aura”. 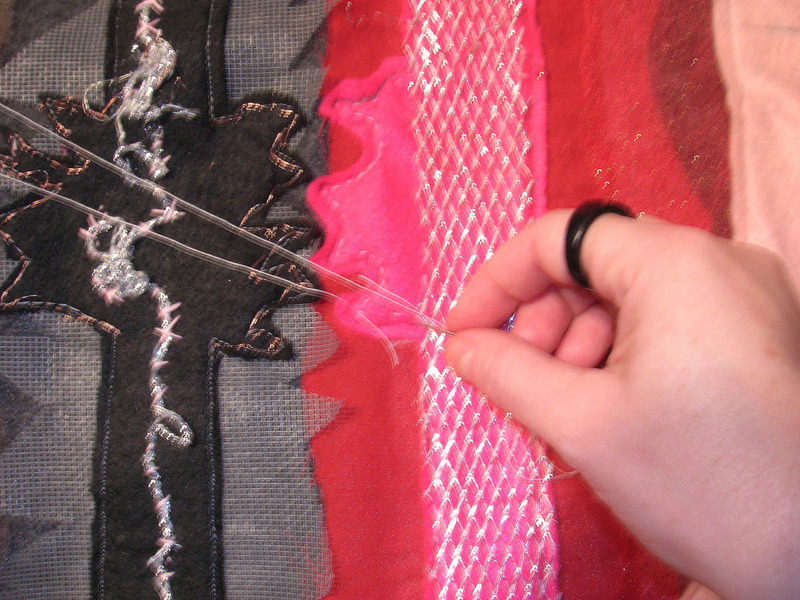 A cloth over the applique keeps it from singeing. 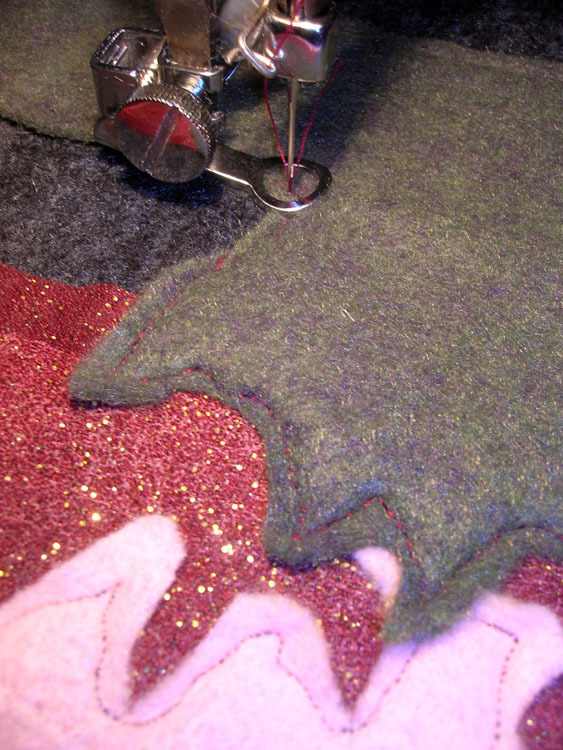 Once the surface design was complete, I quilted the piece using some very simple machine sewing on the dark gray felt background that echoed the vertical elements. 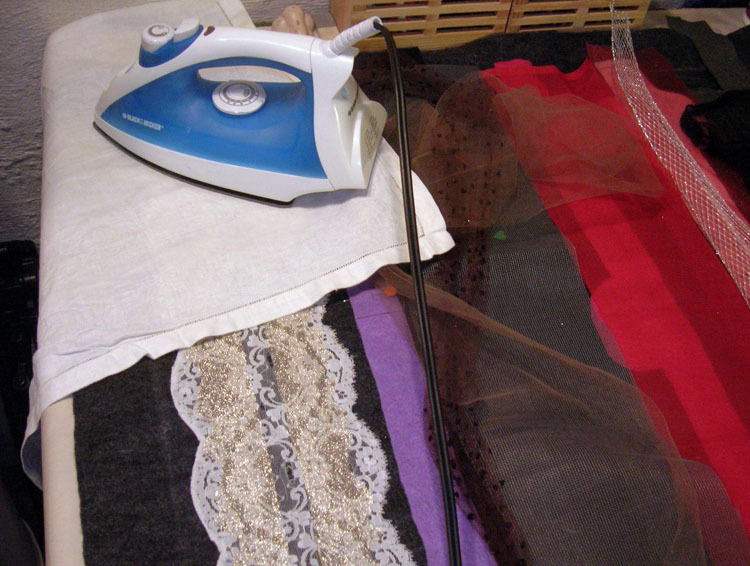 From there, I stretched the quilt on a display board, and eh voilá! It’s been evolving slowly, due both to my sheer experimentation with new media processes, and to the fact that I’ve been doing a lot of the construction while I was at work. 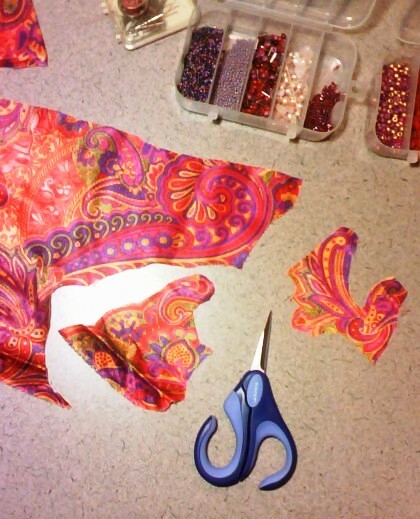 I find sewing while I’m on the phone to be very grounding; for me it helps me focus on listening better too. 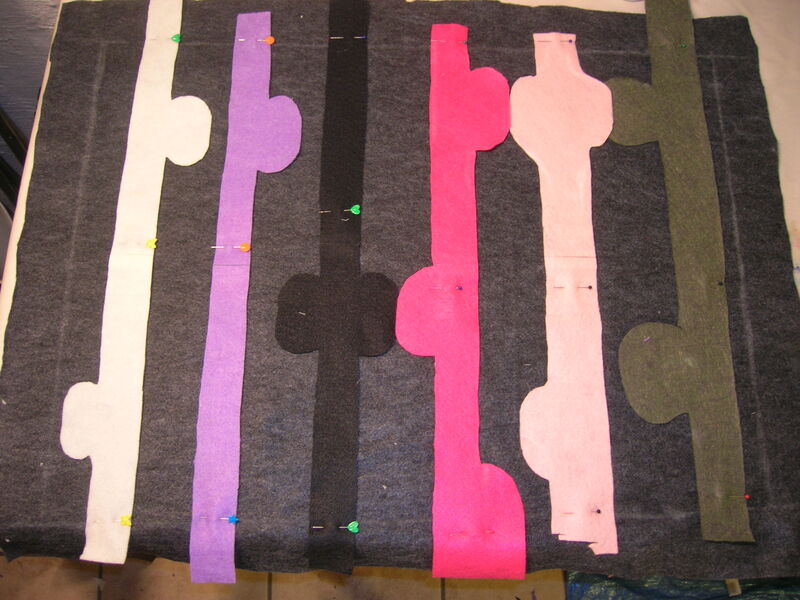 I used a combination of machine sewing, PVA and fabric glue stick to assemble the fabric pieces. 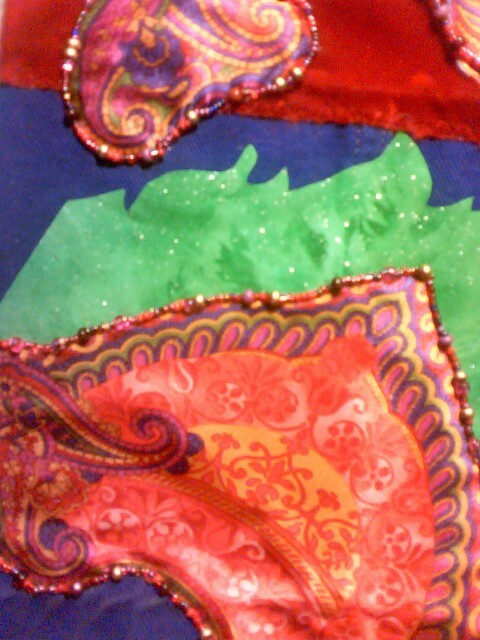 Also, the sparkly green and purple bits were pre-starched scrapbooking fabric, which handled like paper. This allowed me to do some pretty interesting shapes I couldn’t have otherwise done. 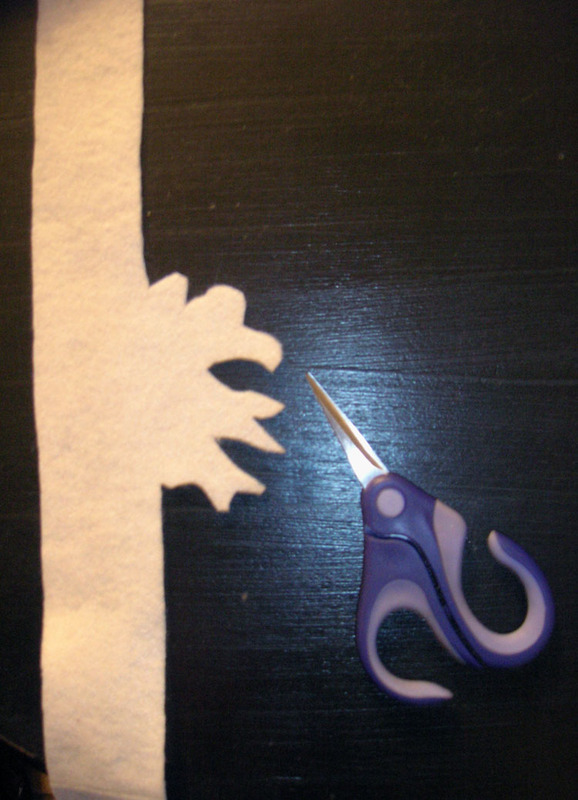 This is the last step before I add the finishing border… Not far to go now!